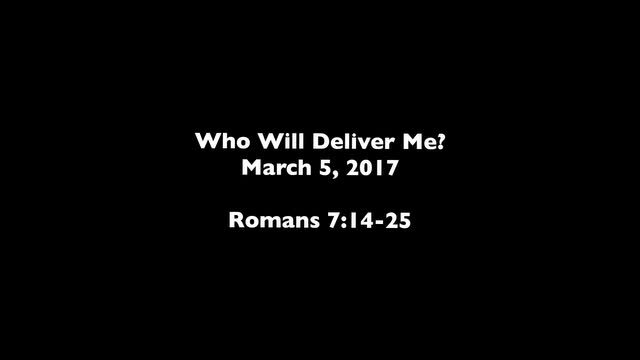 West End United Methodist Church / Sermons & Services · Who Will Deliver Me? Through much of Paul's writing we get a sense of his self-confidence. But in this passage, he confesses his shortcomings, and Paul's description of them is very much applicable to each of us. It's a very appropriate perspective for Lent.